Description: Aunt Martha's Replacement Blotters can be placed under your fabric to absorb excess paint that can sneak through your fabric while painting with Aunt Martha's Ballpoint Paint Tubes. These excellent absorbent towels can also be used for cleaning up after craft projects. 7 x 9 inch each. 6 pc. 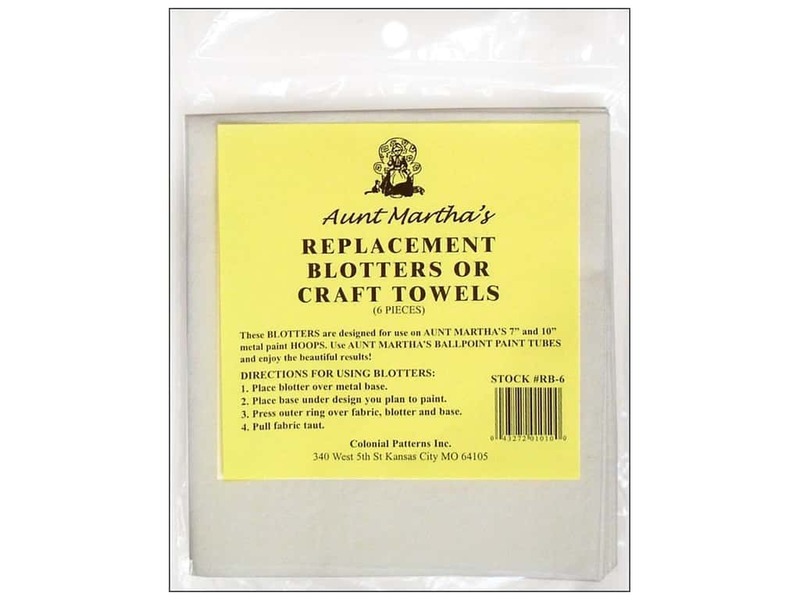 Aunt Marthas Replacement Blotters 6 pc -- CreateForLess 2.50 out of 5 based on 2 ratings. 2 user reviews. Not like they used to be..